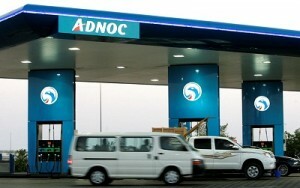 ADNOC Distribution, of Abu Dhabi National Oil Company (ADNOC), has received the International Organisation for Standardization Certification (ISO 27001) from BSI Middle East and Africa in recognition of its world-class information security management systems (ISIM) towards maintaining the confidentiality of financial information, intellectual property, employee details or data entrusted by third parties. Abdulla Salem Al Dhaheri, Chief Executive Officer from ADNOC Distribution, received the certification in the presence of Theuns Kotze, Managing Director, BSI Middle East and Africa. The ISO/IEC 27001:2005 is the most rigorous global security standard for information security management systems. To achieve this certification, a company must show a continuous, structured commitment towards managing sensitive company and customer information. The ISO certification is a testament to ADNOC Distribution’s focus in adopting and implementing global standards and best practices to ensure effectiveness, efficiency, confidentiality and integrity in its day to day operations. Abdulla Salem Al Dhaheri, Chief Executive Officer, ADNOC Distribution, said, “At ADNOC Distribution, we prioritize the integration of advanced information security solutions. The implementation and monitoring of quality standards is supervised by industry experts to ensure the integration of maximum security levels in the protection of customer data. This helps position ADNOC Distribution as a supplier of choice for quality petroleum products and services. “The ISO 27001 certification validates our sustained efforts in leveraging our leadership role in Abu Dhabi to achieve operational efficiency while maintaining core business values that are aligned to the UAE Smart Government initiative.” ISO 27001 requires that management systematically examines the organization’s information security risks, taking account of the threats, vulnerabilities, and impacts; designs and implements a coherent and comprehensive suite of information security controls and/or other forms of risk treatment (such as risk avoidance or risk transfer) to address those risks that are deemed unacceptable; and adopts an overarching management process to ensure that the information security controls continue to meet the organization’s information security needs on an ongoing basis. To date, ADNOC Distribution’s IT Division has won several distinctions from the Oracle Corporation, including the Oracle Database Administrator Excellence Award – Worldwide for Europe, Middle East and Africa Region 2013, Oracle Engineered System of the Year – Middle East ‘&’ Africa at GITEX 2013, Oracle Excellence Award, Oil ‘&’ Gas Downstream World Wide 2012, Oracle Exadata Excellence Implementation Award, Middle East ‘&’ Africa 2012, Oracle Database 11g Release 2, and the First Oil ‘&’ Gas Upgrade Award 2010.